Anyone require War Diaries or other files from the National Archives? Discussion in 'For Sale & For Trade' started by Drew5233, Mar 8, 2011. FMP has him listed as a Private as POW in 1940 but then listed as Sergeant in 1945. Has him in 1945 with POW number 1592 in camp 344 Lamsdorf ex 1st battalion KSLI. Mark HEATH and CL1 like this. Thanks for the rapid turnaround of sending me the 1st Bn Royal Norfolk Regiment's War Diary for 1944. This has given me a fascinating insight into the Bn's preparations for D Day, the landings and subsequent operations in the vicinity of Caen. More importantly, I have a clear picture of what was happening on the day my great uncle was wounded. Once again, thank you and a Happy New Year. Thanks very much for that Clive, I'll check those links. If anyone wants any files or British Army War Diaries etc copying that are held at the National Archives, drop me a Private Message re your requirements etc. 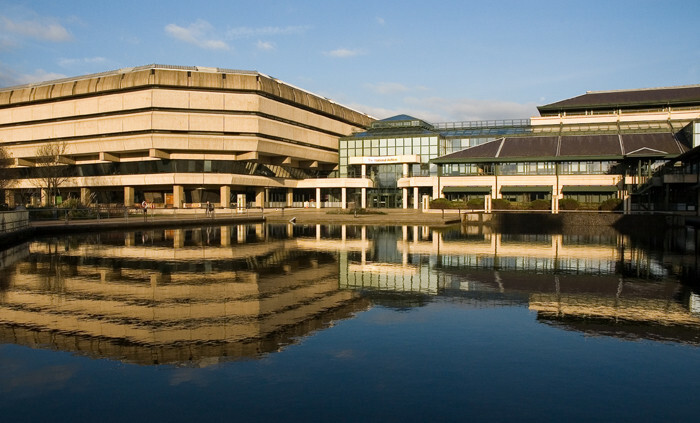 I charge 10p a page/image for any complete file, document or War Diary at the National Archives, Kew. Postage and Packing is FREE to anywhere in the world and a DVD is shipped to you on receipt of payment. I do charge an extra 5% for anyone paying by Paypal due to the charges for receiving funds via Paypal. If you are struggling to find a specific war diary I should be able to find it for you if one exists, all I need is the unit and date you are interested in. I will always confirm the diary before copying it. See post 48 onwards in this thread regarding the sort of information you can find within British Army War Diaries. Please consider your requirements carefully before placing an order, whilst it is impossible to give a quote in advance regarding the cost of a file unitil it is ordered and copied (They vary so much in thickness) some can be as cheap as £1 or £2 but they can cost in excess of £70. As a guide I would say most cost between £20 and £50. Kew is a 400 mile round trip for me and its a long way to go to copy a file that someone decides they no longer want because it costs too much. Anyone considering ordering files or war diaries but aren't quite too sure what they are after you might find browsing through the Excel sheets in the link below very useful. If you still can't find what you are looking for drop me a PM. Hi Andy, I'm not sure where to drop the PM, but let's please discuss if you are able to help us. We are a recently installed history workgroup working towards autumn of this year when we want to organise an exposition about the liberation of Vught in october 1944 to commemorate the 75th birthday. The exposition will feature the step by step fighting/liberation during those 3 days. We also want to publish a book that will aim to present all the known facts about these days, based on war diaries, battle reports and pictures to get the most detailed and actual description of what happened during that limited number of days. While at Kew yesterday I looked up a few ADM 358 files, which are the casualty ones - interesting to see that on the front of a couple of them were the words DESTROY 2020 - see pic. It's only 10 months away, so I wonder how many other files will be destroyed without us knowing unless it's ordered! Thank you for your excellent and prompt service, rapid turnaround, plus answering my numerous questions arounf the 1994 War Diary of the 147 Regt RAC. I would highly recommend his service to anyone. Thanks for the excellent service Drew. Most surely I will make use of your services again! I'm interested in the background to a meeting between Churchill as First Sea Lord and Darlan as Admiral of the French Fleet in Dec 1939, TNA reference ADM 1/10250. This is part of a private project as to how my father's battalion (2/1st MG Bn, 2nd AIF) and other AIF formations ended up in Britain in 1940. As I'm in Australia, on your next visit to TNA, could you provide a copy of this? If you could PM me regarding any details (frank.millen@gmail.com), that would be great. Payment would be by PayPal. Looking for some help in getting the war diaries of 1 Indian HAA Regiment, 3 Indian LAA battery and 8 Indian HAA Battery. This is for a project I ma working on. If you could provide the details and modalities of payment directly to me (mandeep502@yahoo.co.in or mandeepsingh317@gmail.com), it would be great. Well, something's very odd with the 4th Indian Division GS Diary (1943). All is well (though often very faded) until June or July 1943, but then somebody has bound in all kinds of random material: 21st Army Group OOB 1945, Intelligence on Operations in Arakan 1944, Operational Orders for 48th Lt Ind Bde, Operations in the Chin Hills 1943 (actually of interest to me!) --still going through it all. One wonders whether Tuker was simply reading up on intelligence all over the show. Do the pages look like they belong in the file? I suspect they are probably misfiled pages considering they are a different year and campaign. My initial thought was a mistake on your part, but (my faith being strong), I examined the prior and following images and they were there in the treasury tags. I guess, as you say, they were misfiled. IIRC, the appendix letters don't follow on. Do you think the N.A. will care/want to know? You can notify them and they do change stuff, just not sure what they will do with the pages if they don't know where they are from.